Partial eclipse at sunset from Cahoon Park, Bay Village. Photo by Dianna Lewis. 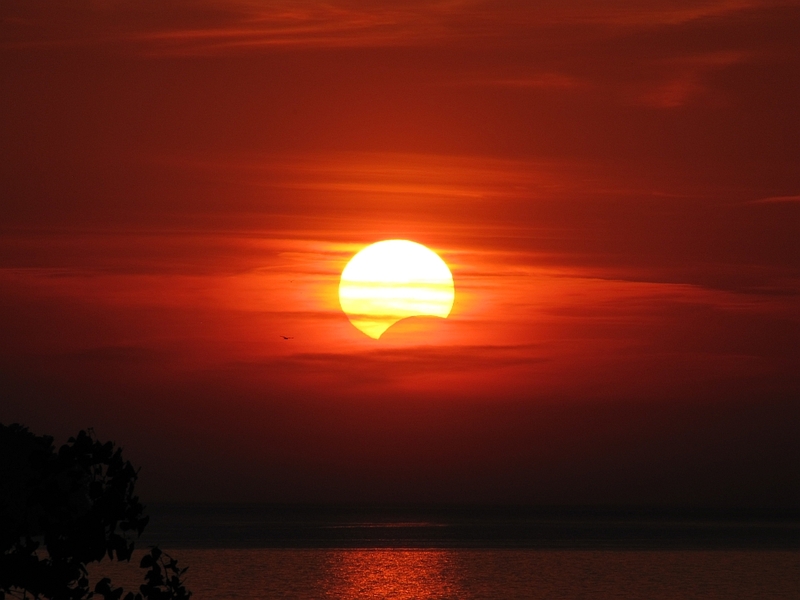 Sites along the US West Coast enjoyed a beautiful annular eclipse on Sunday, May 20, as did observers in China. We did not see much of an eclipse from Northeastern Ohio. We were, however, treated to some beautiful sunset views! Late-day clouds threatened to block the event entirely from view but, in some cases, contributed to the aesthetic. 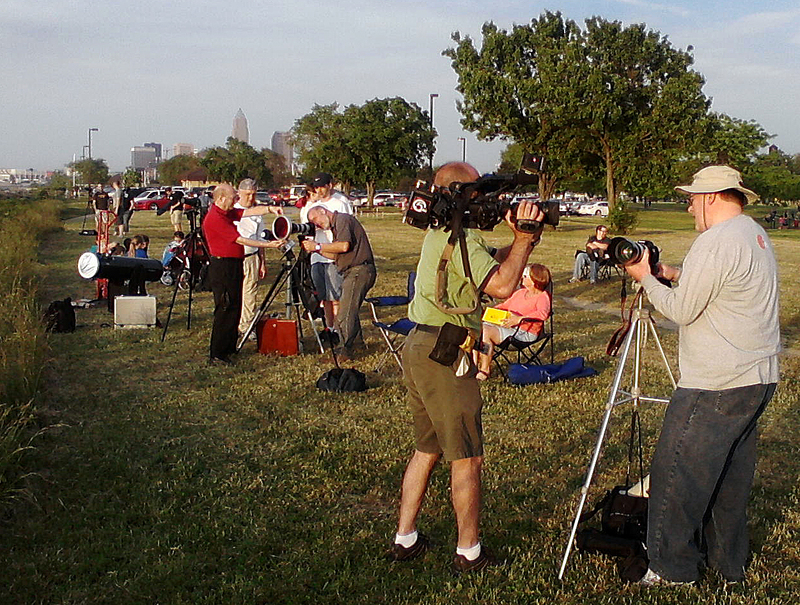 Observers setting up at Edgewater to see partial eclipse of the Sun. Photo by Tim Campbell. 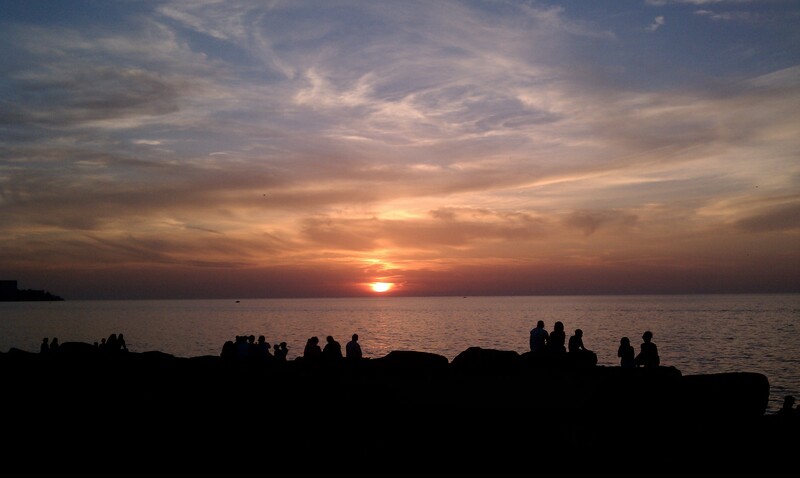 A group of CAA members gathered at Cleveland’s Edgewater Park for a view of the sunset event over water — as distant an horizon as we can get here. Others viewed and photographed the partial eclipse individually from other locations. Cloudy sunset during partial eclipse. Photo by Christopher Christe. This entry was posted in Uncategorized and tagged eclipse, northeastern ohio, ohio, photograph, solar, solar eclipse, sun. Bookmark the permalink.